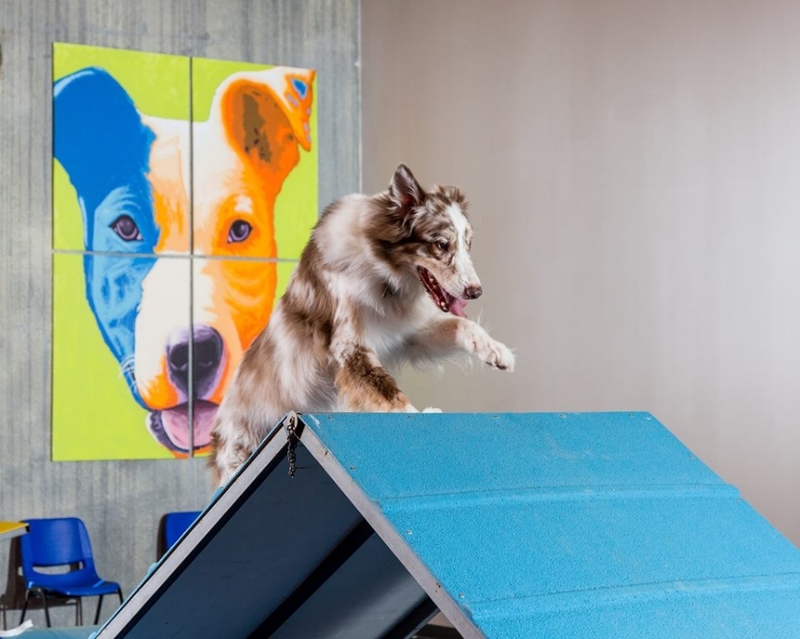 Dream Dogs Professional Training — Agility Classes for all levels. For competition or just for fun, agility work is great exercise for you and your dog. You’ll both get a workout in these classes! We’re very proud to offer AKC/USDAA regulation agility equipment in our Indio facility. Special Note: We use only positive training techniques, including operant conditioning through a conditioned re-enforcer (i.e., clicker or marker word). We do not use compulsion, meaning we never ask a dog to perform an obstacle or training sequence that it's not ready or willing to attempt. Your dog’s comfort and safety with the equipment are our top priorities. Keep in mind, you don't have to be perfect at agility to have a good time. We introduce various pieces of equipment at a lower height so your dog learns to get comfortable in this new environment. We focus on tunnels, tires, jumps, teeter totter, and shadow handling. This class develops equipment fluency for your dog, and instills handling and teamwork “building block” skills for you both. In later weeks we progress to running longer equipment sequences. Your dog should be able to stay with you for short sequences off leash. Your dog becomes fluent on all equipment. We introduce weave poles, front crosses, and rear crosses, and help you hone your handling and sending skills. This is a “pre-competition” level class, regardless of whether or not you intend to compete. Your dog must be able to work sequences completely off leash; it should also have a reliable recall (“come”). We continue to build teamwork with your dog, and empower you to build on your basic handling and course strategy skills. Your dog should be fluent on all equipment, although it may still need work on weave poles. This is a “pre-competition” level class, regardless of whether or not you intend to compete. Your dog must be able to work sequences completely off leash; it should also have a reliable recall (“come”). We focus on distance work and sending your dog, while giving you greater support to master your handling skills and have fun in the process. Dogs must be fluent on all equipment.